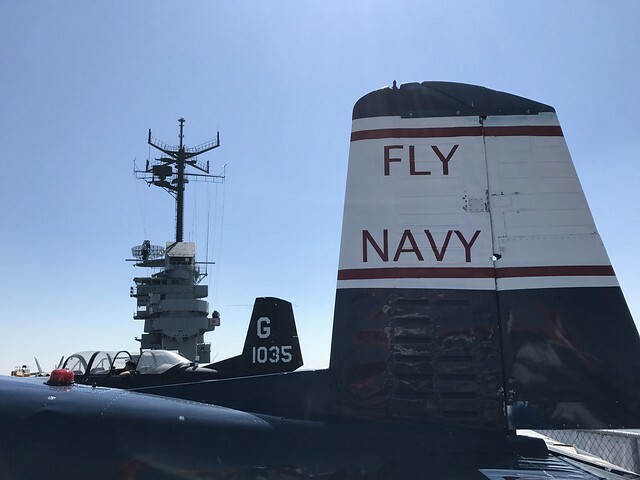 We knew it would take a bit of time to see the USS Lexington, also known as The Blue Ghost, but I think we were both surprised that we ended up spending 5 hours there! We saw it all — and there is a lot to see! 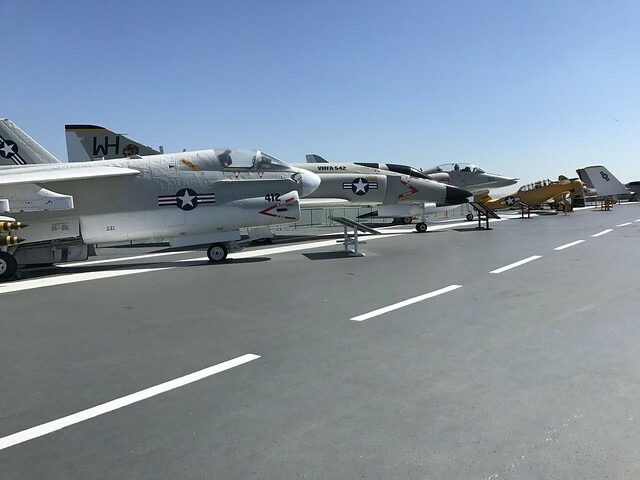 We went on the self-guided tours, listened to a presentation on the flight deck, watched the 3-D movie, had lunch at the mess deck cafe, sat in the ready room chairs…you get my point. 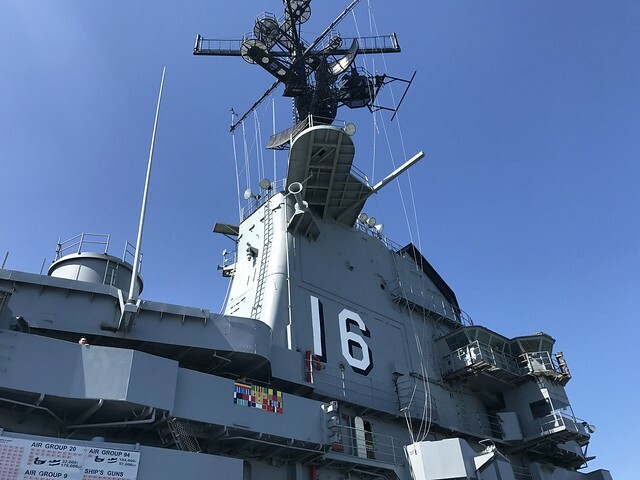 The self-guided tours take you all through the guts of the ship, down skinny, steep stairs, up and over thresholds, through zig-zagging corridors, with almost every room set up as a museum exhibit. There are tons of artifacts from the ship’s fighting days in WWII. 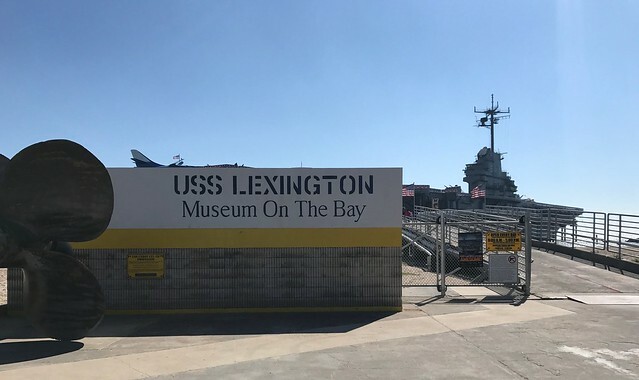 It’s definitely worth a visit if you’re in Corpus Christi.